It’s almost funny to think of celery as a seasonal ingredient. But if you buy celery seasonally at the farmers market, you’re more likely to get heads of celery with its lush, leafy greens attached. And you want those leaves. 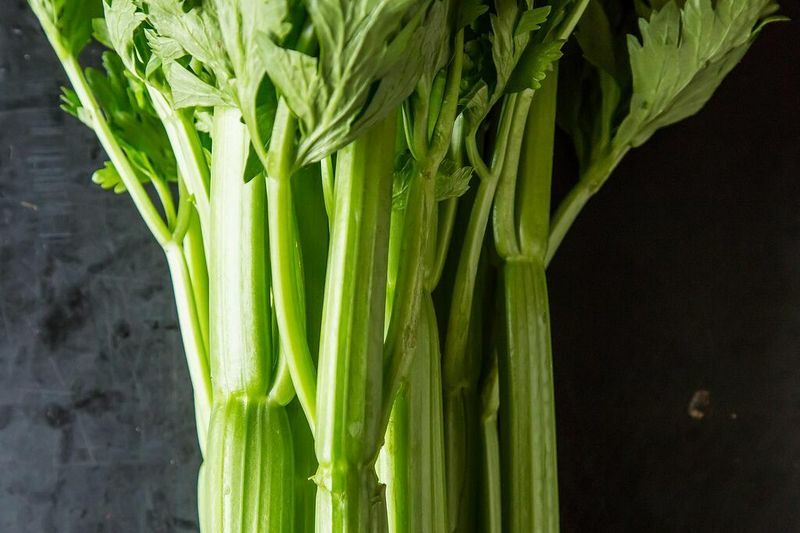 Because—along with the pale, inner stalks (the celery heart)—they taste like celery but there's no intense crunchiness or stringiness to battle. Just because you wouldn’t plop a yellow, wimpy central stalk in a Bloody Mary doesn’t mean it shouldn’t be used anywhere. Celery hearts and leaves aren’t scraps that we should feel compelled to use in an altruistic mission to reduce waste—they're vegetable treasures to take advantage of. 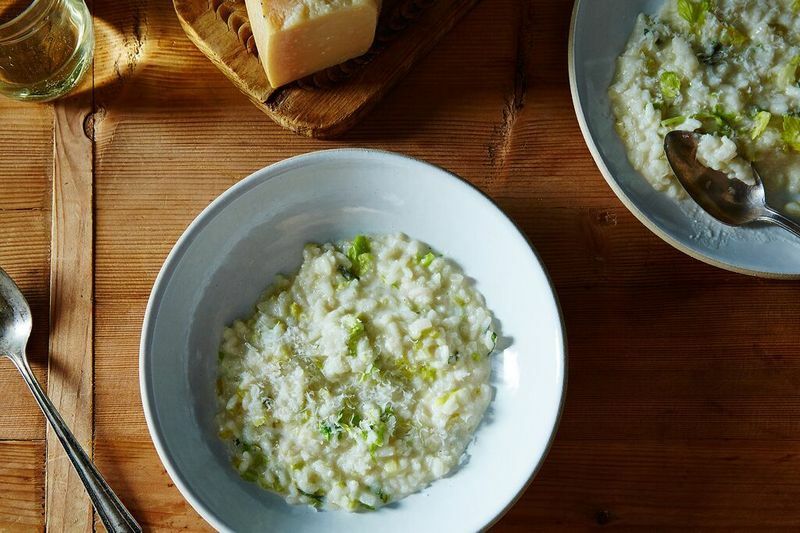 Both underutilized celery parts get starring roles in gingerroot’s subtly sweet and bright risotto, which is just the right home for them. One note: She calls for 4 large green shiso leaves; we recommend starting with 2 leaves and assessing if you need to add more so you don’t risk overpowering the other, more delicate, flavors. Heidi Swanson's blog has a recipe for homemade celery salt made with dried leaves. Magic! I give my celery farmers a jar every year, and keep one for myself, too. I like to make celery leaf salt, too! How nice that you share it with your celery farmers. Ooh, I can't wait to check it out, thank you!